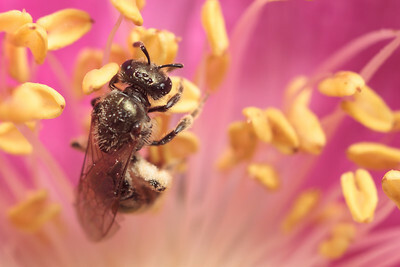 Sweat bees, also know as halictid bees, do not have a complex social organization like honey bees; females may dig out their own nesting chambers off of a shared main tunnel, but they collect their own food and nesting materials. 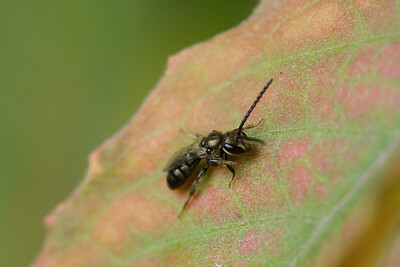 A sweat bee (Lassioglossum) takes off. 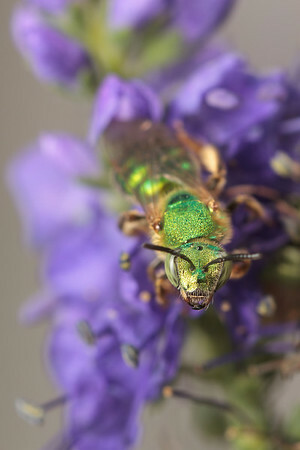 A green metallic bee (Agapostemon) preens on the tip of a flower. 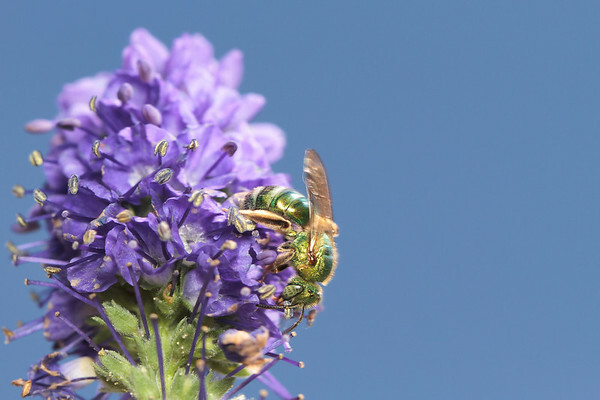 A green metallic bee (Agapostemon) searches for nectar on a flower. 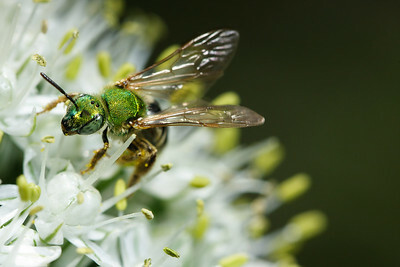 A male green metallic bee (Agapostemon) pauses on a flower. 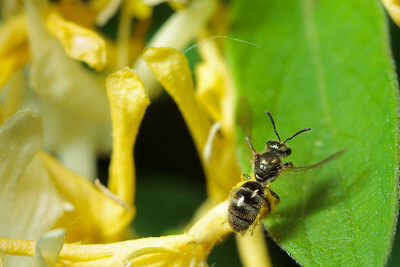 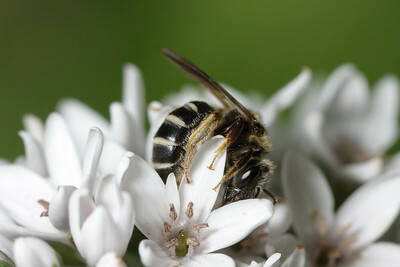 A sweat bee (Halictus) crawls up and over a flower. 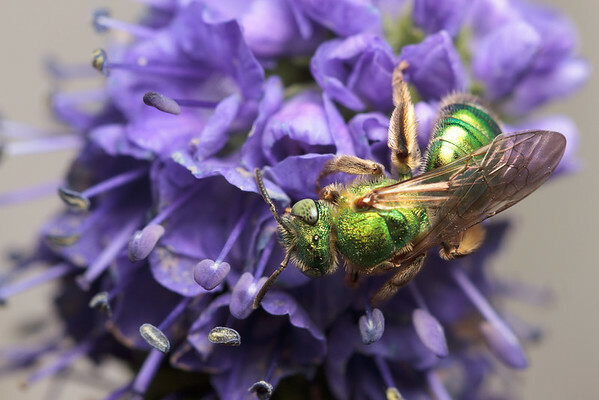 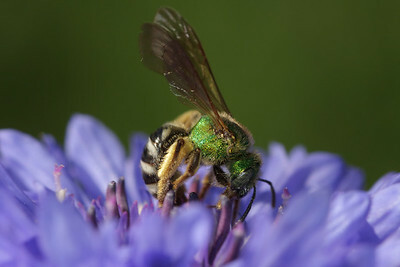 A green metallic bee (Agapostemon) arcs her back to get at a cornflower's pollen. 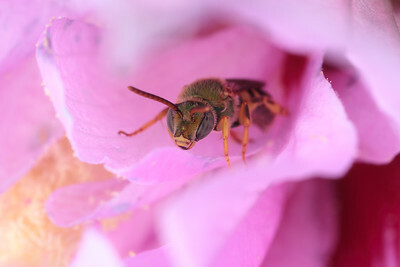 A green metallic bee (Agapostemon) rests inside a hollyhock flower. 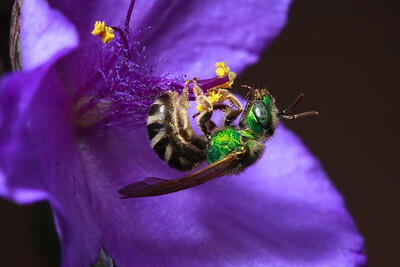 A green metallic bee (Agapostemon) warms up in the sun on top of a hollyhock flower. 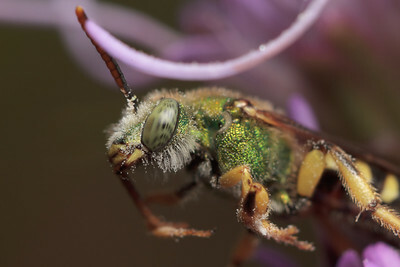 A green metallic sweat bee (Agapostemon virescens) gathers pollen. 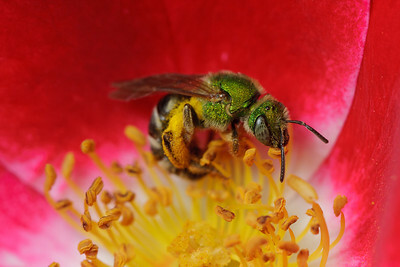 A small bronze sweat bee visits a brightly colored tulip. 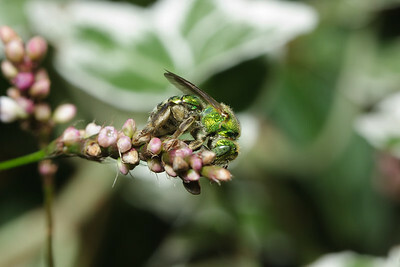 A green metallic sweat bee (Agapostemon), already carrying and covered with pollen, searches for more. 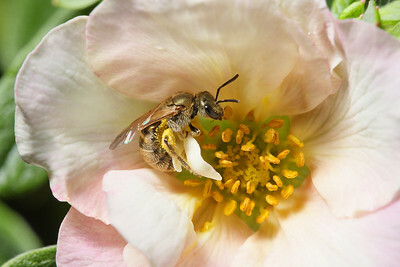 A sweat bee (Lasioglossum) gathering pollen from a small pink rose. 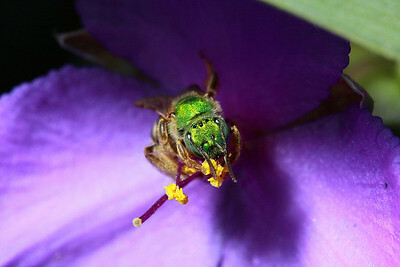 A green metallic bee (Agapostemon virescens) on a spiderwort flower, head-on. 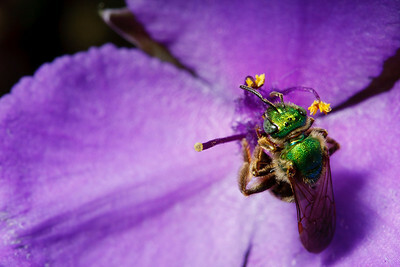 A green metallic sweat bee (Agapostemon virescens) grooms after collecting nectar from a spiderwort flower.